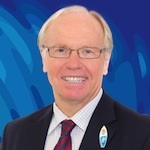 Mr Peter Beattie was appointed Chairman of the Australian Rugby League Commission in February 2018. Peter served as the 36th Premier of Queensland and Minister for Trade from 1998 to 2007 and Leader of the Australian Labor Party in that state from 1996 to 2007. His sweeping victories in the 2001, 2004 and 2006 state elections confirmed him as one of the most electorally successful politicians in Australia. Of particular significance for the rugby league community during his time as Premier was the leadership he provided for the construction of Brisbane’s Suncorp Stadium and the Gold Coast’s CBus Stadium. Before retiring in 2007, he mentored and was then succeeded by his Deputy Anna Bligh, who became the first female Premier of Queensland. From February 2008 until 2015, Mr Beattie and his wife Heather lived in the US during his tenure as Queensland's Trade and Investment Commissioner to the Americas based in Los Angeles 2008-10. In 2010 he accepted a position as advisor and guest lecturer on global economic development strategies at Clemson University, South Carolina (ranked 25th US public university by US News & World Report). In 2011, the Gillard Government appointed Mr Beattie as Australia's first Resources Sector Supplier Envoy charged with promoting a Buy Australian at Home and Abroad program for supplying products to the Australian resources industry. Returning to Australia in 2015, he was appointed Chairman of GOLDOC, the Organising Committee for the Commonwealth Games in May 2016, a role he will hold until after the Games in April 2018. He is also a Director of the Medical Research Commercialisation Fund; Ambassador for Life Sciences Queensland; joint adjunct professor at the University of Queensland’s Australian Institute for Bioengineering; Nanotechnology; Institute for Molecular Bioscience; a former member of the University of Queensland's Industry Engagement Council; and national commentator on Sky News and joint host of Beattie and Newman on Sky News. Mr Beattie has authored four books, the latest being "Where to from here, Australia?” published in 2016. In 2001, Mr Beattie was awarded the Centenary Medal for his contribution to Queensland. In 2008 he won the Biotechnology Industry Organisation’s inaugural “International Award for Leadership Excellence” and in 2012, he was named a Companion of the Order of Australia (AC) for "eminent service to the Parliament and community of Queensland, through initiatives in the area of education and training, economic development, particularly in biotechnology, information technology and aviation industries, and to the promotion of international trade”.